The Dirty Lab – the largest project area in our space, with lots of movable work surfaces – is a great space for collective art. 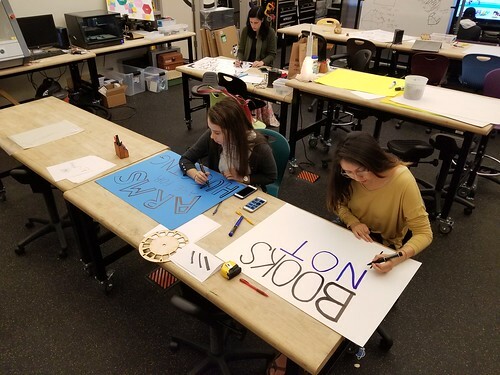 We’ve hosted sign making for the March for Science, and students, faculty, and visiting artists collaborated on a banner for International Workers Day. 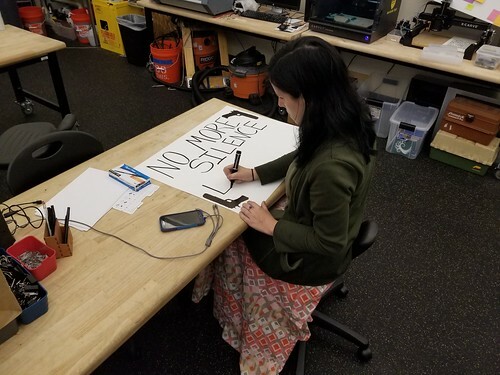 Today, students and faculty worked on signs for the National School Walkout and March 14, 2018. …and some new ones. 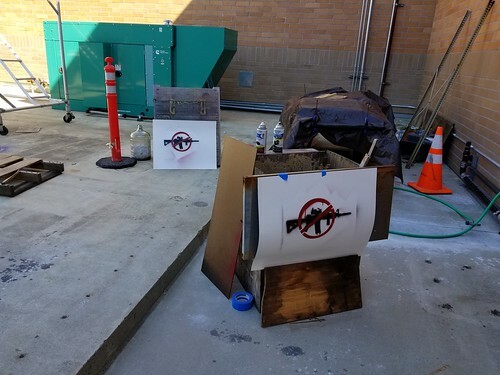 We used the laser cutter to cut some 10 mil mylar – a new material for us that just arrived, and that will hopefully make our stencil activity for Making Social Change a little easier in the fall – creating an AR-15 stencil and accompanying “NO” symbol.